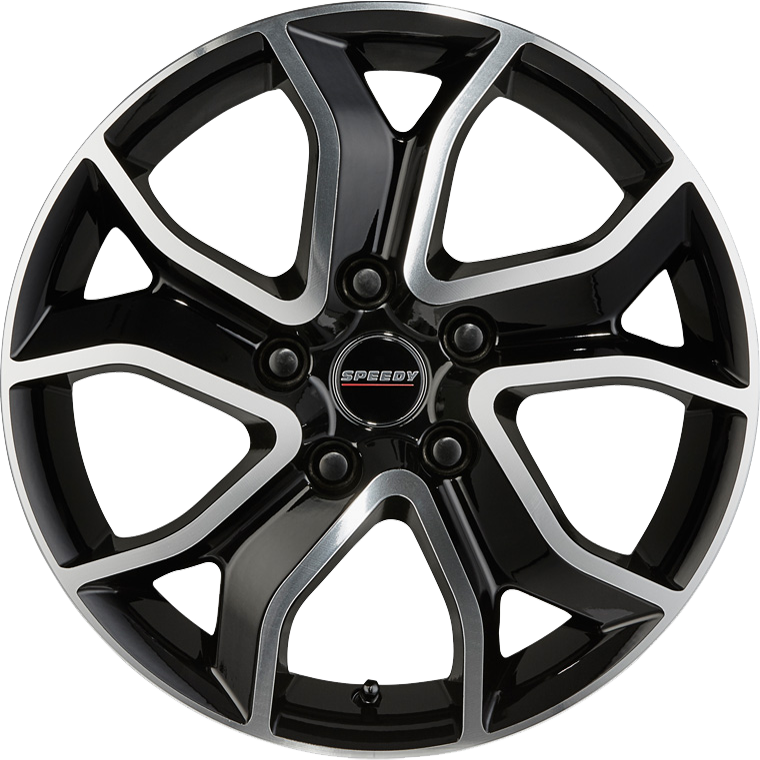 The curvaceous styling treatment of the new Speedy Elite wheel creates a very different wheel design, with unique appeal. Finished in glistening gloss black with brightly machined front face accents, Elite is a standout wheel for popular 5 stud small cars. The curvaceous styling treatment of the new Speedy Elite wheel creates a very different wheel design, with unique appeal. Finished in glistening gloss black with brightly machined front face accents, Elite is a standout wheel for popular 5 stud small cars. Available in size 16 x 6.5, Elite fits a multitude of current model small cars and accepts fitment of the OE tyre in many instances. Thereby transforming the look of your car without the added cost burden of having to purchase alternate size tyres.